They're the bane of my existance in this game, the ships seemingly never are able to close in on them, and if I'm gaining on them they fire a salvo of torpedoes that sink me the same turn. How do you deal with them? Checkout this guide on steam. Have followed it myself and it's pretty spot on. 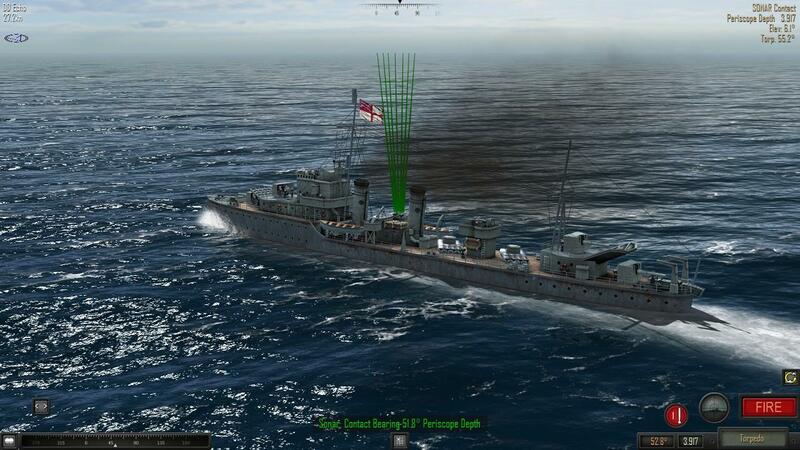 Also I have developed some method of my own using main guns and torpedoes which are a bit safer. It's not at all realistic, but it is very effective: if you have an enemy sub at periscope depth, get to within torpedo range if you're not already, and fire a fan at him. 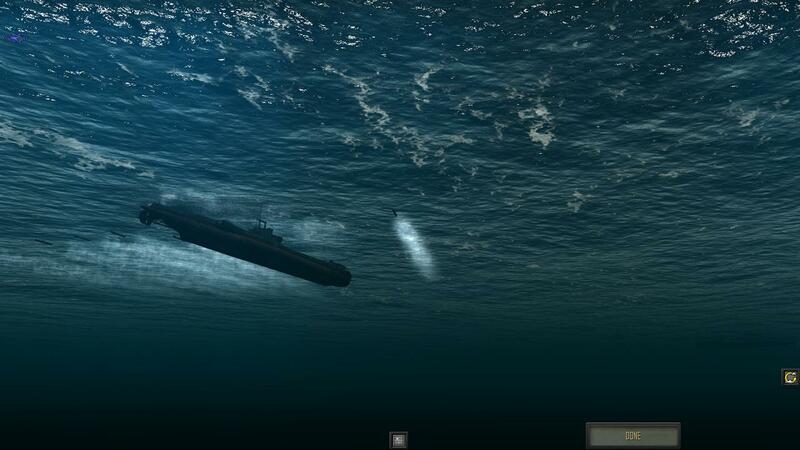 Make sure you never approach a sub with its front (or back, in a U-boat's case) facing towards you. If you look at the map you can see the direction the sub is heading (little trail stretching out behind the icon). Try to have that line horizontal or diagonal to the bow of your destroyer.